As a parent, you want to make sure your children are getting the best possible medical care if they ever get sick, as well as all the right checkups to keep them healthy in the first place. But are you taking care of all their health needs? Dental care often goes overlooked, but this can leave your kids vulnerable to a variety of health issues. Use these tips to help take care of your children’s teeth and keep them happy and healthy. Healthy diet: Eating right is important for overall health, but contributes in a significant way to dental health in particular. Kids tend to eat more candy and sweets than they should, so it’s up to parents to limit these types of food. These can cause a variety of dental problems if consumed too frequently, including cavities and other issues. Brush correctly: You don’t have to be an expert in dentistry to know that brushing your teeth is a good habit to have. Make sure you’re modeling good brushing habits for your child at an early age and helping them brush their own teeth. Even if your child’s baby teeth will eventually fall out anyway as they grow, it’s still important to take care of them early. Baby teeth begin to grow around 6 months, so the American Academy of Pediatric Dentistry recommends a dental office visit before your child’s first birthday. Careful with toothpaste: Toothpaste can sometimes be tricky with kids; either they don’t want to use it at all, or they use half the tube on a single brush. Use a small amount for children and show them yourself how much to use. However, avoid toothpaste for children age two and younger, as they get enough fluoride without toothpaste use. Regular checkups: The most important thing you can do as a parent to help take care of your children’s teeth is schedule regular visits to the dentist. Consistent checkups will help you spot dental problems early and get your children the care they need sooner to keep them healthy. Looking to schedule a pediatric dentist appointment for your children? Contact us today to find a dentist office near you. Oral cancer consists of cancer in the teeth, gums, lips, tongue, cheeks, and other places throughout the mouth. When diagnosed early enough, oral cancer can be treated but, if gone unaddressed, it can quickly become life-threatening. This is one reason why finding the best dental clinic for your needs is so important when it comes the health of your mouth. 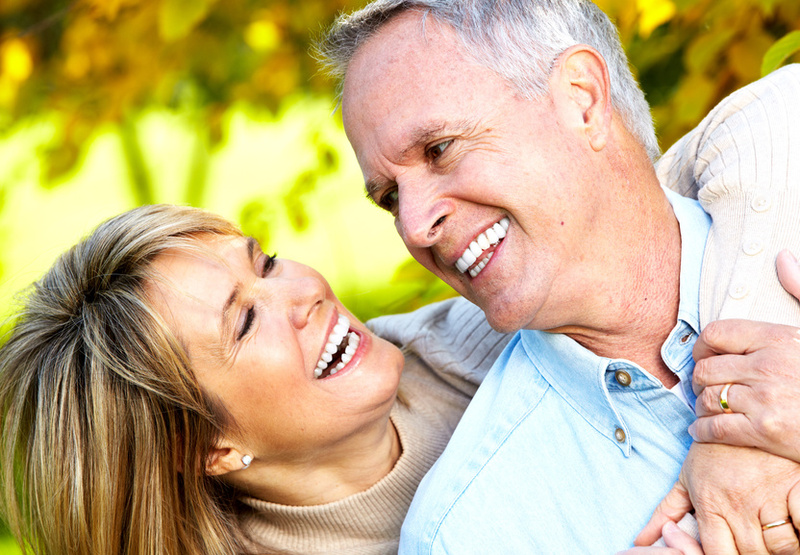 Older adult males are more likely to get oral cancer than any other group of people. People who get it will typically be older than 55, and it is often found in people who smoke regularly and drink heavily. Avoiding these habits will decrease your likelihood of getting oral cancer significantly. If you are concerned that you might have oral cancer, there are some common signs and symptoms you can keep an eye out for. General swelling or erosion in the mouth may indicate there is an issue, as well as sores, lumps, and discolored patches. Experiencing bleeding or numbness and you are not sure why? This is another sign that a bigger issue is present. Take note of any soreness, difficulty chewing, ear pain, and weight loss, as well. All in all, if you are concerned you might be at risk, contact your dental office right away. A good dentist will be able to diagnose any symptoms and offer you the quality dental care you deserve. Have you been officially diagnosed with oral cancer? Well, first of all, finding the best dental clinic for your situation is important when it comes to treatment. Talk with the top dentists in your area to learn about the best options for proceeding forward. The survival rate in oral cancer is considerably high, so treatment options are definitely something to look into. Visiting a dental clinic to discuss the best course of action is recommended. They will suggest treatments that are similar to other forms of cancer, such as radiation and chemotherapy. Looking for ways to avoid oral cancer down the line? As stated above, avoiding excessive drinking and smoking is an excellent step to take. You will also want to maintain a healthy, well-balanced diet and limit exposure to the sun, as it has been known to increase your chances of experiencing cancer on your lips. Along with this, be sure to visit your dentist regularly. It is recommended to visit your dental clinic twice per year to ensure your teeth and gums stay as healthy as possible. What are you waiting for? Do some research and locate the best dental clinic in the area, so you can address any and all of your concerns right away. It is time to get the care and attention you deserve. You owe it to yourself and your family, so get in touch with a specialist today. White teeth are extremely important to many people. If someone doesn’t like the way their teeth look in pictures, they will go far enough to edit it so their mouth is full of beautiful, pearly whites. Instead of altering your photos, you could simply try teeth whitening. But when you’re choosing a teeth whitening route, there are many reasons why you should have it professionally done instead of trying it at home. When you go into the dentist office you’ll be fitted with custom whitening trays. These trays can be used within your home or throughout your day wherever you may be. Unlike with at-home treatments, the dentist will be able to make sure the trays sit in your teeth ridges perfectly since they’re trained to do so. Because they use medical-grade treatments, anything the dentist puts on your teeth will last 10 times longer than something you would buy at the drugstore. The dentists use treatments that can’t be sold over-the-counter, so spending time in the office chair is well worth it for an extended outcome. They may also use a halogen light, which is stronger than one you can buy in an at-home kit. Typically the results you will get from an at-home kit will be three to six shades whiter than your current color. With the halogen light used in the dentist’s office, you can expect a result of about eight shades whiter. While many people use whitening strips purchased from the drug store, they’re not the most reliable form of teeth whitening procedures. While they can be a little less expensive than other teeth whitening procedures out there, they can leave you with splotchy areas around your teeth. This is due to the strip’s inability to stick to your tooth for an extended amount of time. Of people who have had their teeth whitened by a dentist, 82.5% said that they saw a significant difference in their teeth. With that number being so high, it’s clear that having your teeth professionally whitened is the way to go. For more information about teeth whitening for your own teeth, reach out to your dentist. So, you just found out that you need a tooth removal procedure, and you’re going to need dentures. 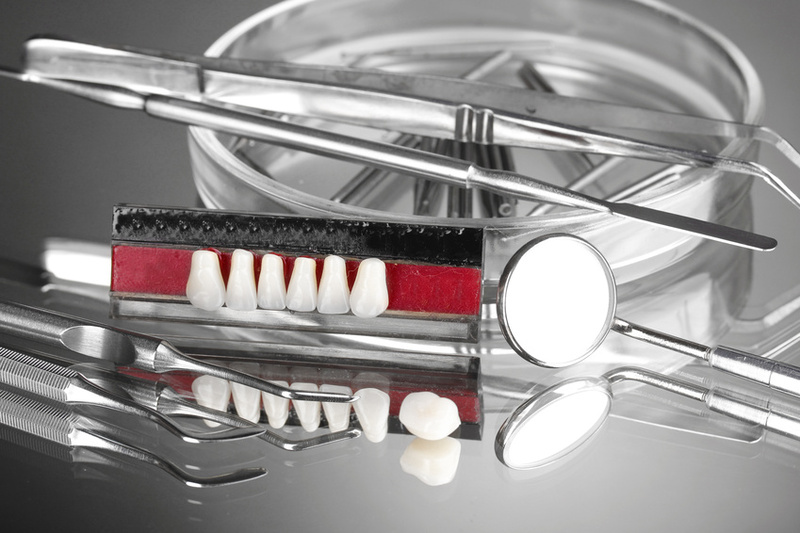 Caring for dentures is not the same as caring for natural teeth. It can seem intimidating at first, but don’t worry. Here are some basic tips for taking care of your new chompers. Most dentures need to stay moist in order to keep their shape. In order to do this, you should take your dentures out overnight and soak them in a denture-cleaning solution. Soaking them overnight will also help kill bacteria and germs on your dentures. You can eliminate 99.9% of germs this way as opposed to other quick cleaning methods. Taking them out at night also gives your gum tissue a chance to rest. This may sound weird because you’re used to cleaning your teeth with toothpaste, but regular toothpaste is not good for dentures. Toothpaste is abrasive and can create tiny scratches where food and plaque can build up on your dentures. Instead, you should use a nonabrasive denture cleaner and a soft bristle toothbrush to brush your dentures at least once a day. After you eat you should remove your dentures and rinse them. Run warm water over them to remove any food debris and other loose particles that may have gotten stuck in them. If you have the kind of implants that are not supposed to be removed often, then just make sure you rinse out your mouth after you eat. Your dentist will recommend how often you should make an appointment, but it is typically once a year. Your dentist will help you ensure that you have the right fit and are not experiencing discomfort. They will also make sure that your mouth is healthy. They will look to make sure your oral tissue is not changing and that you are not developing sores that could potentially become cancerous. Over 30 million Americans are missing all of their teeth in one or both of their jaws. If you’re one of them, and you need dentures, there are some things you need to know about caring for them. You should soak them overnight, rinse them after you eat, not use toothpaste, and visit your dentist. Your new teeth will help you get your confidence and your smile back; you just have to make sure you take care of them! For those with various spinal injuries, a spinal orthosis or back brace may be just what the orthotic services ordered — literally. A spinal orthosis is designed as a means of holding the spine in place in order to keep the spine from worsening due to curvature. When wearing a spinal orthosis, some curves in the spine may decrease in their size whereas 80% will stay the same. But how do you know if a back brace is the best choice for your spinal injury or condition? Below we answer some common questions regarding spinal orthotics and back braces and how they can benefit you. Would a Back Brace Help With a Herniated Disc? Yes. A herniated disc is caused when two bones in the spinal cord press on the nerve endings surrounding the back bone. A herniated disc back brace can help prevent back injuries and alleviate the pain by reducing intradiscal pressure, offering your spine the support it requires to take the pressure off your nerves. Would a Back Brace Help With Scoliosis? Yes and no. A back brace can assist with scoliosis and keep it from worsening by straightening the spine and enhancing mobility. But ultimately a back brace cannot outright straighten a spine affected by scoliosis. Only spinal surgery can efficiently produce the best result, but even then a scoliosis patient may still have a consistent curve in their spine. Would a Back Brace Help With Sciatica? Yes. Sciatic nerve pain is often caused by the pinching of a nerve root in the lower spine. However, sciatica itself is typically caused by applied pressure to the sciatic nerve by a herniated disc. As in the case of wearing a back brace for a herniated disc, a back brace can help relieve sciatic nerve pain by reducing the pressure of the spinal discs on the nerve or nerve root. Overall, a back brace can help alleviate and reduce back pain while simultaneously assisting in the prevention of further injurious curvatures. However, a back brace cannot be used alone as a form of treatment. When suffering from chronic back pain caused by a spinal injury, consult your doctor for a diagnosis. If your back pain has been diagnosed, consider using a back brace from Walkabout Orthotics to reduce your pain and to enhance your mobility. You don’t need a cosmetic dentists to tell you that there is significant cultural value in straight teeth and a bright smile. Consider this: almost three-quarters of adults feel that an unattractive smile can seriously hurt their career success, and 99.7% of adults believe that a healthy smile is socially important. Straight teeth are a lot easier to brush and floss than crooked or overlapped teeth, which trap food particles and bacteria much more easily. Toothbrushes can never quite reach certain nooks and crannies created by uneven teeth. However, having straight teeth will drastically lower your risk for gum disease, which itself can lead to heart disease, and has even been known to contribute to diabetes. Believe it or not, but when there are gaps in your teeth, the jawbone around them becomes weaker and can lead to possible further tooth loss. This circular feedback loop could lead to some seriously bad news for the overall structure of your jaw. Straight teeth are better at chewing than crooked teeth, and chewing is the first part of good digestion. When chewing becomes a chore, most people don’t realize that they aren’t getting the most out of their food and are putting a strain on their digestive systems. Gaps and misalignments in the teeth and jaw can create slurs, whistles, and trouble with enunciation for some. These problems are fully reversible with teeth straightening procedures, and clearer speech can lead to an increase in confidence and happiness. Alignment issues can contribute to teeth grinding and bad bites, which also lead to headaches that keep you awake at night. Other conditions, like temporomandibular disorders (TMD), can also be partially alleviated by straight teeth. Just because you are an adult, that doesn’t mean it’s too late to reap the rewards of a straight smile. Most people wait three years to go to the dentist, but this is one health appointment you shouldn’t delay. Instead of putting it off, consult your local dentist to discuss the many teeth straightening options available to you, from dental implants to Invisalign and other forms of cosmetic dentistry. Don’t give up on your smile now — you have tons of time to let it shine. In the United States, dental illnesses cause more than 20 million missed work days. In order to help remedy dental problems that keep people out of work and from completing everything they need to get done in a day, the ADA American Dental Association was founded in 1859. Since then, it has helped to make sure that the dental care Americans receive is of the highest quality and able to either prevent or treat problems. Though cavities are quite popular, and about a fifth of all people in the United States and Europe get at least one every year, the types of problems that the ADA helps to prevent and fix are virtually limitless. 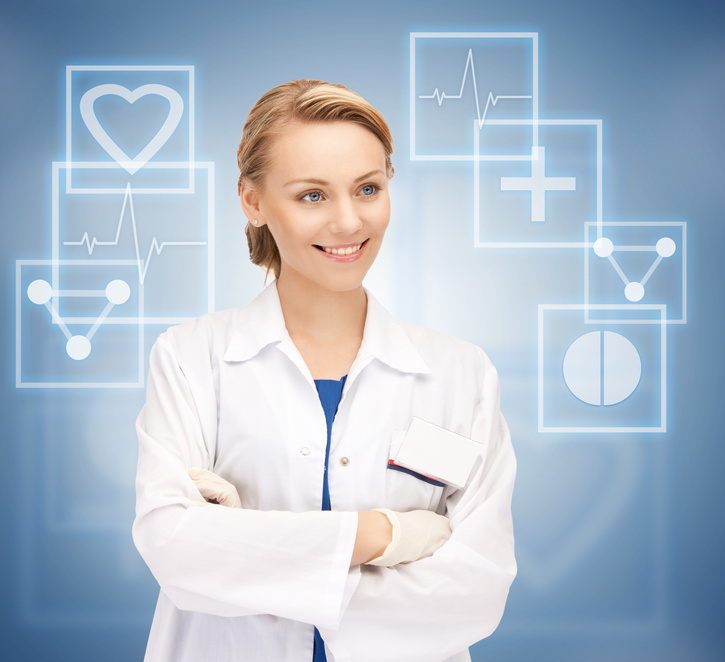 Are you considering a career in dental medicine? As Dental Economics points out, as the human population continues to grow, so will our need for high quality dental care. After all, the more people there are, the more teeth there will be to take care of. Dentists can expect to make a comfortable yearly salary and to become respected members of their community, but you have to get their first. Here are some things to consider for dental school and beyond. The American Dental Association (with all its trusty American dental associates) is all about promoting the health of your teeth. But it may not simply be a matter of job security. In fact, when it comes to dental care American dental associates may deserve grateful thanks on behalf of the entire species. 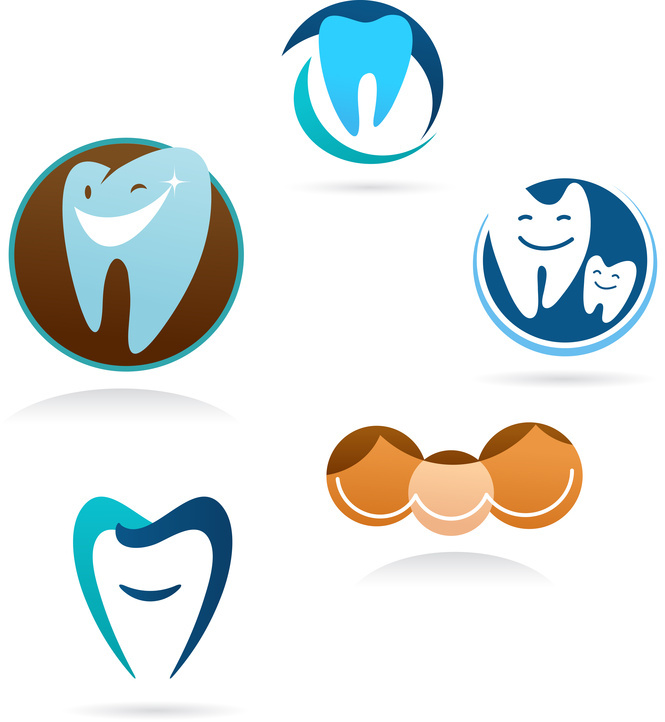 There are a variety of professional groups that your dentist can be a part of. There is the ADA American Dental Association, the American Dental Institute, or the American Dental Society. All are reputable, all have much to offer their members. The big question, is why are there dentists out there who are not involved?